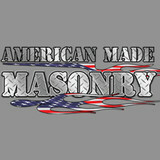 American Made Masonry, LLC is a full service masonry company serving Greater Boston and beyond. We are fully licensed and insured and we provide free estimates and follow-up service. We specialize in all types and stages of masonry construction, restoration, and repair, including stairs, walkways, chimneys, patios, fireplaces, walls, driveways, paving stones, all types of concrete work, and more. We also do all types of general masonry repairs, including repointing, chimney extensions, waterproofing and specializing in stone foundations. We also install water management systems including french drains, dry walls, and sump pumps. Our mission is to provide quality workmanship, exceptional value, professionalism, and customer satisfaction. We guarantee our work and ensure attention to every detail. We work with you, enabling your ideas to become reality, no matter how big or small the job. Brickstone is a full-service residential landscape construction company, which focuses on High End residential projects and boutique style commercial spaces. Family owned team consisting of Masons, Landscape Designers, Hardscape Specialists, Natural Stone Experts and Low Maintenance Gardeners. Brickstone focuses on meaningful, authentic designs matched with superior craftsmanship for a timeless space suited to your personal style. Communication is key in every relationship - clients work directly with one of the owners from start to finish with respect to your time. Filled with artistic inspiration and expertise in stone masonry, Brickstone invest energy in developing a timeless stunning project to add to your surroundings. Our mission is to approach each project with a holistic vision, and we commit to creating spaces that are a true reflection of the clients living in them. The New England inspired traditional approach to design we have developed is ever evolving and always inspired. We are a small but experienced company that specializes in creating high end outdoor living spaces tailored to each individual customer. We pride ourselves in knowing that every job we install is constructed to the highest standards using the highest quality materials. Contact us today to learn more about who we are and how we can make your backyard dream a reality! Here at Mass Hardscapes, we make continuing education a standard for all employees. Doing so allows us to keep up with the latest trends, tool and installation specifications. All of our jobs are led by an IPCI and NCMA certified installer and are installed to meet ICPI and NCMA specs to ensure a lasting landscape. We are so confident in our installations that we have a 10 year warranty on labor, more than double the industry average! Whether you're looking for a complete backyard living space makeover, or small entry way to the front of your home, we are here to give you the best experience possible and a beautiful landscape to complement your home and your lifestyle. 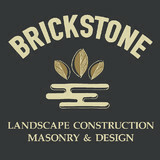 3rd generation New England Masonry Contractor. Residential masonry restorations including complete stone and brick foundation repairs. Stone masonry, artisan stone and brick steps. After years of masonry construction we have the experience to offer masonry repairs professionally. Now with Peabody and Burlington area locations. Call for all your masonry repair needs. "Building beautiful outdoor spaces" At Premier Pavers & Hardscape Co., we create the hardscapes that define exquisite gardens, leading the way to beautiful homes. Ian Forman & the Premier Paver & Hardscape Co team have been transforming & beautifying homes in Massachusetts since 2002, with the professional installation of award winning concrete paver driveways, walkways, patios & pooldecks. In addition, we build beautiful natural fieldstone walls and mortarless retaining walls, bluestone and granite terraces, steps, and walkways. Every beautiful property begins with hardscaping, the permanent structures that provide form, function, & direction. Options today include a variety of concrete pavers, environmentally-friendly permeable pavers, brick, bluestone and granite that inspire practical yet elegant exteriors. We understand the importance and value of your investment, and guarantee your total satisfaction. We have the expertise you need to walk you through all the details of your project, whether you’re planning a driveway, walkway, patio, pool deck, steps, or stone walls. Not sure yet what you want to do? We can help you design your project, and explain the benefits of different materials, and the diverse looks they create. We will transform your property with a beautiful, high quality hardscape installation and look forward to working with you on your next hardscape project. Northeast Decorative Concrete, LLC 20 Northwest Blvd #114, Nashua, NH 03063 1 (603) 413-0266 Decorative Stamped Concrete Contractors, Specializing in Stamped Concrete, Epoxy Flooring, and Garage Floor Coatings. We install Patios, Pool Decks, Walkways, Driveways. We Service All of New Hampshire (NH) and Massachusetts (MA) Give Us a Call for a Free Estimate! Murray Masonry & More, Corp.
Murray Masonry & More has established a reputation for consistently delivering high-quality masonry results. Specializing in historic brick and stone work since inception our ongoing mission is to add to the ranks of totally satisfied customers through the expression of our knowledge, expertise, and skill. Employing several masons, each with their own specialties’, we are prepared and qualified to meet all of your landscape masonry, building restoration and commercial construction needs. Founded in 2007 by Brendan Murray, Murray Masonry & More has become a successful masonry contracting firm specializing in historic masonry. We value our talented employees and our faithful customers. Creating beautiful craftsmanship based on important principles defines us. We treat our customers as we would like to be treated, both as individuals and as a business. You will find that our employees are sincere and enjoy their jobs. Happy employees take personal accountability for every job undertaken. As a business Murray Masonry & More strives to understand our customers and ensure their satisfaction. We know that aside from our employees, our customers are the reason for our success. Natural Path Landscaping, LLC provides innovative design and construction services for landscape construction projects that include: granite steps, walkways, patios, walls, driveways, etc. Our designs strive to use natural materials as much as possible and we often use granite in innovative ways that our customers appreciate. We are very detail oriented and work from CAD drawings and a thorough project description that is prepared beforehand and is part of our written contract with the homeowners. When we complete a job there are no loose ends and we clean up at the end of each day. None of our employees smoke, everyone is thinking on the job and we all speak native English so communication is never an issue. We have been in business for 13+ years and did not see any downturn in our operations through the recent recession, which is a testament to our design services, craftsmanship and total focus on customer satisfaction. We are a locally owned and operated company that values honesty and integrity and treats your home as if it were our own. Abiatar Hardscape offers a variety of quality brick, stone, and interlocking paver installation and repair services. We have many years of experience in Everett, MA, to give you confidence that we are the number one choice for your next home project. You will find us to be competitively priced and you will enjoy the close attention we pay to the details of each and every project that we are involved with. We look forward to building lasting relationships and guarantee your satisfaction! "McLaughlin Masonry, Beautiful Craftsmanship Every Time." McLaughlin Masonry is a brick, block, stone, stucco and concrete masonry contractor who have an outstanding reputation for our ability in masonry construction. McLaughlin Masonry has provided over a decade of quality service owned and operated by Shawn McLaughlin. Shawn has a passion for true masonry craftsmanship, including historical restoration. He started as a masons apprentice at the age of 16 and spent the next twenty two years learning the details of masonry craft. In 2010, Shawn started his own company. Born and raised in Marblehead Massachusetts, he understand the rich history of the town and strives to save it, rather than tear it down and build something new. 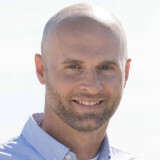 Shawn McLaughlin has provided over a decade of quality service and will continue to provide decades more. Providing Southern New Hampshire old world craftsmanship with new world technologies. Customer service is our number one priority. We are a boutique, high-end masonry company that believes the only way to succeed is to provide superior customer service. We are craftsman of natural stone, patios, waterfalls, outdoor kitchens, and fireplaces. If you are looking for a design and build company to set your landscape apart from the ordinary, we are the ones for you! What sets us apart is our passion and drive. We get just as excited as our clients to bring their vision to life. Additionally, I don't send salesmen out - you deal with me personally from the first consultation to the completion of the job. I write the estimates and I will be in the job making sure my promise is kept. "The professionals at Decorative Concrete Makeovers were a delight to work with from the beginning to the end and beyond!. The design process was creative, flexible and incorporated all of the dreams I had of my kitchen into a reality." Decorative Concrete Flooring specializes in epoxy garage flooring, stained concrete, concrete coatings contractors in the Greater Massachusetts area. Reach out to Derek's team today to handle all your residential stone, paving, and concrete needs! 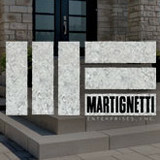 At Justin Epstein Masonry we believe in combining old world craftsmanship and the latest in technology and supplies. With over 15 years of experience, our skilled masons will provide you with the finest quality of work. Whether you need a repair or are looking for new construction, Justin Epstein Masonry works very closely with each of our clients to make sure from design to build you are completely satisfied and proud to display the work we provide for you. There is much to consider when you need quality masonry work. We have been in business for over a decade on the North Shore of Massachusetts, providing quality work that is not only beautiful to look at but will last for many years despite the brutality of the New Enlgand winters. Let us know how we may serve you. For the most part, people hire a stone or concrete contractor for large installations like driveways and walkways, or for home facades and exterior columns. These brick, pavers or stonework installations can add lots of functionality and visual curb appeal to your Massachusetts home. Pavers come in a wide variety of colors, shapes and sizes, and the right vendor or specialist can help you choose a color and design that complements your existing landscaping. From installing new exterior columns to repairing your chimney, masonry contractors can help you add both visual appeal and value to your property. They’ll know what kind of installation makes the most sense for your Winchester, MA climate and regional style. Looking for something that will develop a patina with time? Or would you rather have your home feel brand new for years to come? Choosing the right kind of stone involves thinking about the future, too. Experienced brick suppliers and stone suppliers can help you find the material that will work for your home now and for years to come. These professionals aren’t limited to exterior work either. Whether you want a split-stone granite wall in the kitchen or need help installing traditional brick masonry on your fireplace facade, you’ll want a professional to get it right. If you’re already working with an architect or designer, he or she may be able to suggest a good Winchester, MA subcontractor to help out. Here are some related professionals and vendors to complement the work of stone, pavers & concrete: Landscape Architects & Landscape Designers, Architects & Building Designers, Garden & Landscape Supplies, Driveways & Paving, Siding & Exteriors. Find stone, paver and concrete professionals on Houzz. Search the Houzz Professionals section for Winchester, MA stone, paver and concrete professionals. Browse photos and read reviews, and contact a pro if you like their work.